PROVENANCE: Collection of Edward Chow. Sotheby's Hong Kong, 25th November 1980, lot 68. 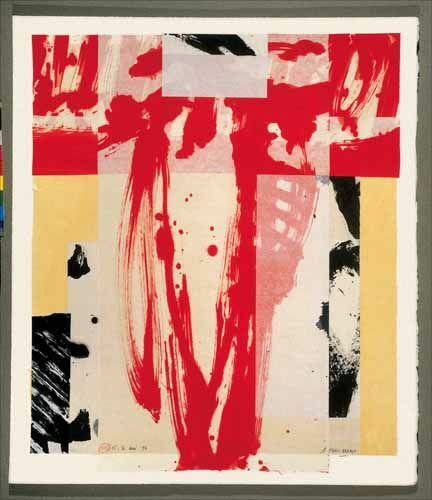 Sotheby's London, 17th November 1999, lot 784. NOTE: The present washer, also known as tangle xi or gong-shaped washer, is discussed by Ralph Chait in 'The Eight Prescribed Peachbloom Shapes Bearing K'ang Hsi Marks', Oriental Art, Winter 1957, vol. III, no. 4, pp. 130-137, as one of the eight peachbloom wares for the scholar's desk. Although peachbloom brushwashers represent one of the better known shapes among the group of eight, they are usually not found with an additional character inscribed in underglaze-blue beside the mark, and potter's marks of any kind are virtually unknown on reign-marked porcelain. 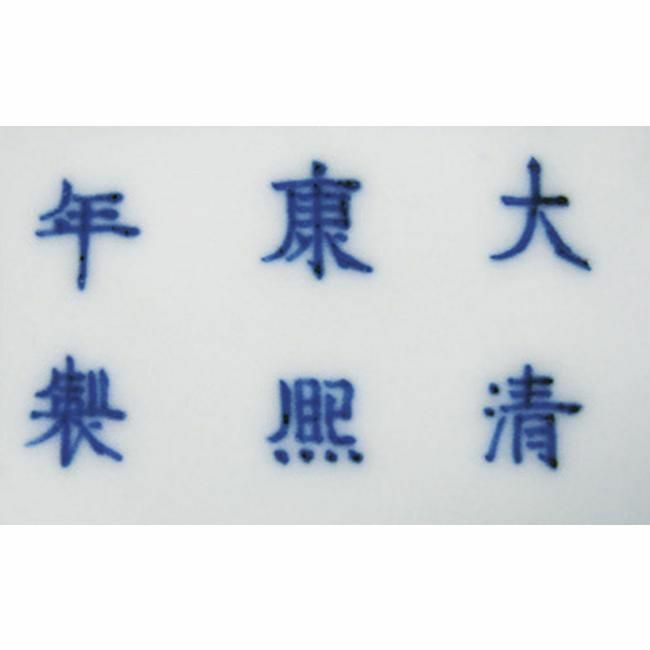 The character wen on the present piece, signifies the education and culture of China's literati and may be a reference to the use of this piece for washing the brush while writing. A similar washer of this type and a complete group of the eight peachbloom wares can be found in the Metropolitan Museum of Art, New York, illustrated in Suzanne Valenstein, A Handbook of Chinese Ceramics, New York, 1989, p. 237. 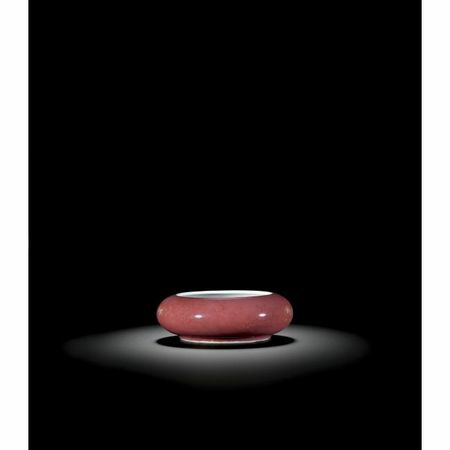 Another example was sold as part of a set from the Jingguantang Collection at Christie's Hong Kong, 3rd November 1996, lot 557. Compare also a washer from the collection of H. M. Knight and included in the exhibition 4000 Jaar Aziatische Kunst, Rijksmuseum, Amsterdam, 1954, cat. no. 300, sold in these rooms, 19th May 1982, lot 263; and another vessel, from the collection of Mrs. Enid Lodge and of the late F. Brodie Lodge, sold in our London rooms, 10th December 1968, lot 127, and again, in these rooms, 19th May 1982, lot 264. This elegant shape also appears during the Kangxi period in a 'claire-de-lune' glaze, such as the brushwasher from the Collection of Paul and Helen Bernat, sold in these rooms, 2nd May 2005, lot 672.